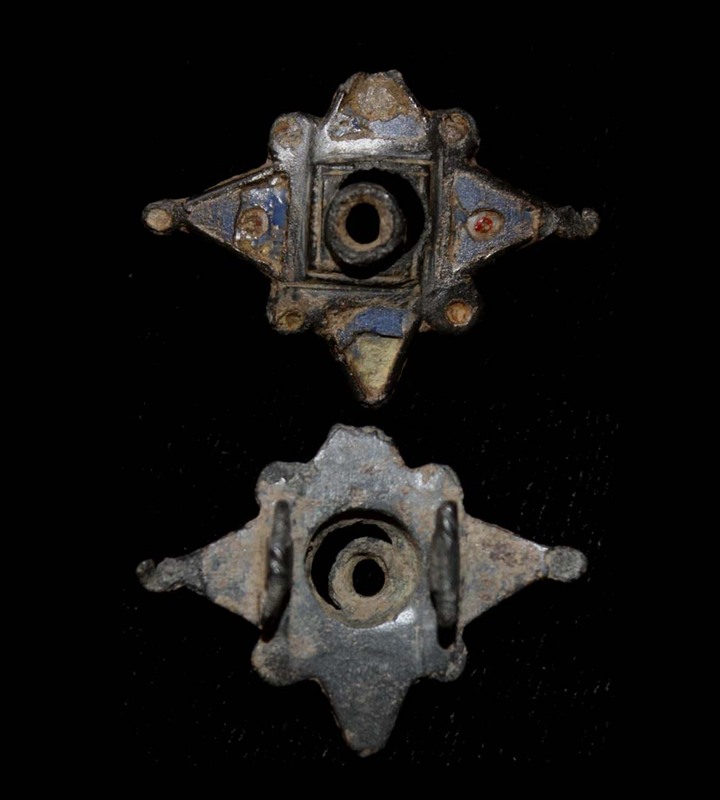 Brooch, Equal-ended Plate type, Glass Insets,c. 2nd Cent AD Rare! 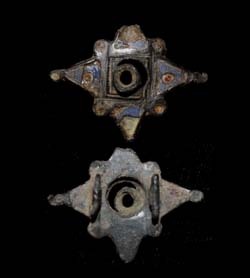 Seller's Note/ This is a lovely example of this brooch from 2nd Century Dalmatia. What appears to be enameling is not; rather it is glass!